My entry in the Nose Art group project. John Glenn, the first American to orbit the Earth, had several incidents occur in his life that could be seen as “indicators” of his later achievement. As a Marine pilot in the Central Pacific, he had occasion to fly as wingman to Charles A. Lindbergh, “The Lone Eagle” when he came through to educate the Marines on how to carry a heavier load farther in 1944. What’s the Karmic coincidence the two “lone eagles” would fly together? 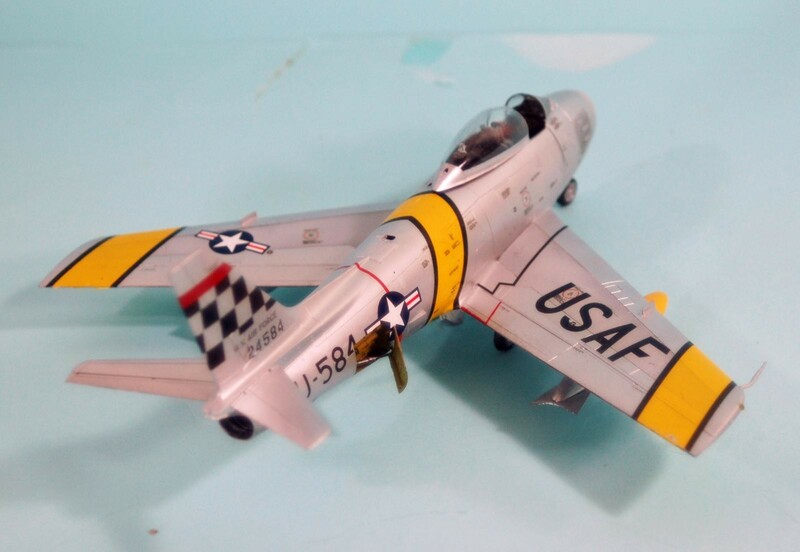 After his tour flying Panthers in Korea with VMF-311, during which time he had occasion to save his wingman, the baseball legend Ted Williams, from being killed, Glenn flew as an exchange pilot with the 39th Fighter Interceptor Squadron of the 51st Fighter Interceptor Wing in June and July 1953, during which time he almost became the second Marine ace of the war. 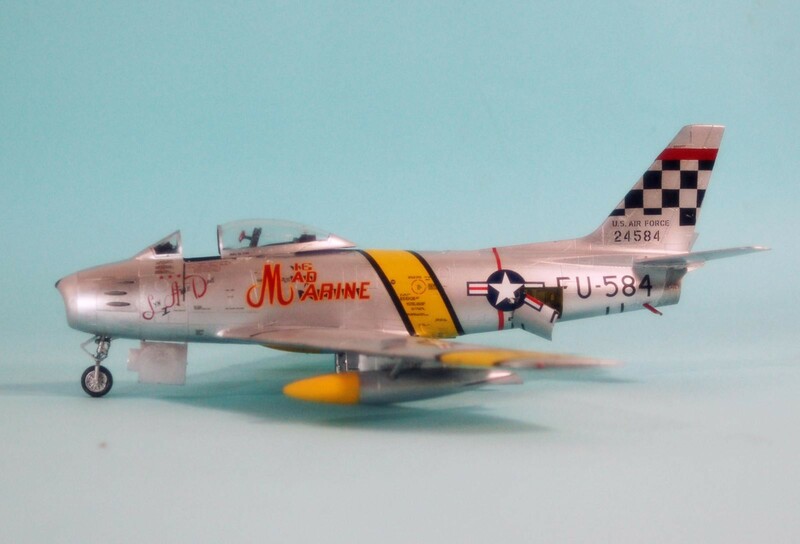 On July 19, 1953, Hank Buttelmann (the last MiG ace of the war) flew as element leader with Marine exchange pilot and future astronaut Major John Glenn leading the flight. 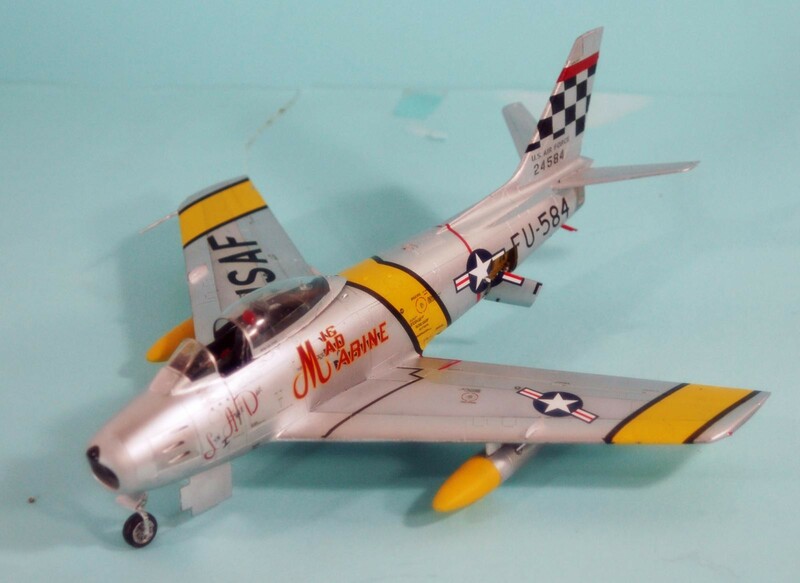 Buttelmann’s wingman, 1st Lieutenant John Boyd, who would 30 years later become the “guru” of air combat strategy, was forced to abort due to a fuel feed problem. Buttelmann should have aborted with him, but he and Glenn, and Glenn’s wingman 1st Lieutenant Jerry Parker, elected to continue the mission. Glenn spotted four MiGs; as he closed on them, a flight of four Sabres and 12 more MiGs joined the fight. Glenn lost his wingman, and then Buttelmann, and overshot his target to become the MiG’s target. 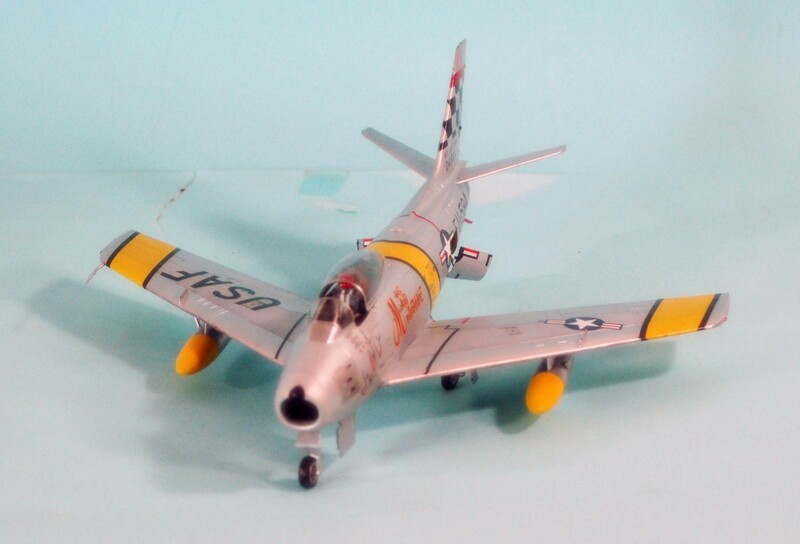 Fortunately Parker swung in behind the MiG and shot it down, but Parker’s Sabre was damaged by ingesting parts from the exploding MiG. The two Sabres turned south with Glenn escorting Parker. South of the Chongchon River, six MiGs swept in to attack. Glenn turned into them and opened fire out of range, scaring them off. 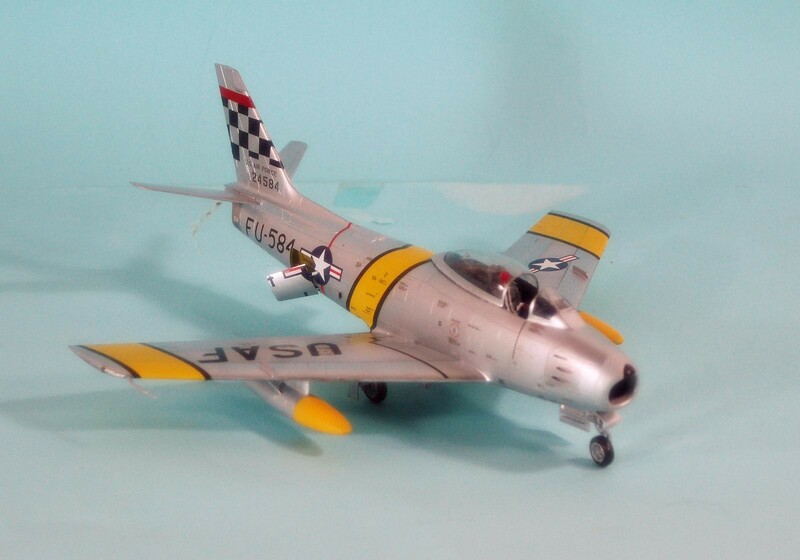 Glenn tacked onto the sixth Mig and shot it down for his second victory in the ten days he had been flying combat with the 51st. Buttelmann, who scored his seventh and final victory in the fight, later recalled that “if the MiGs had kept coming up in the last two weeks of July like they had during the first two weeks and the month of June, John Glenn would have become an ace at the rate he was going.” As it was, on July 22, Glenn led another flight into MiG Alley where he spotted two MiGs and attacked with wingman Sam Young. 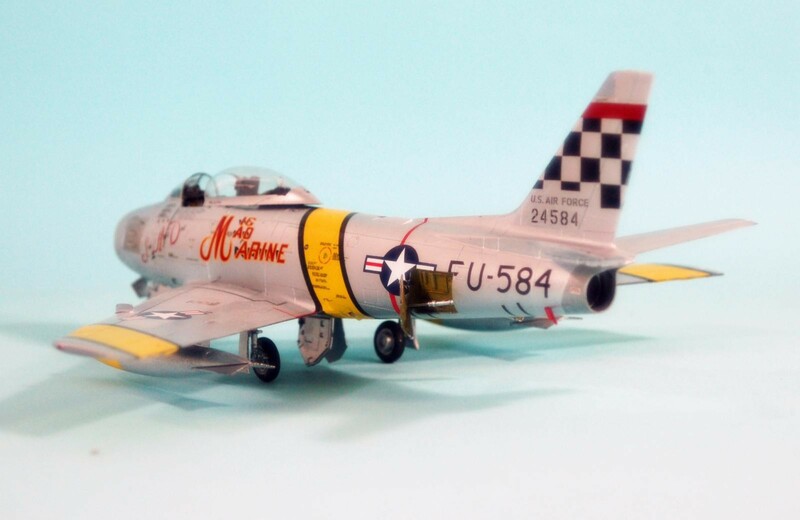 Glenn shot down the leader for his third victory and Young shot the wingman off Glenn’s tail, to score the final MiG kill of the Korean War. 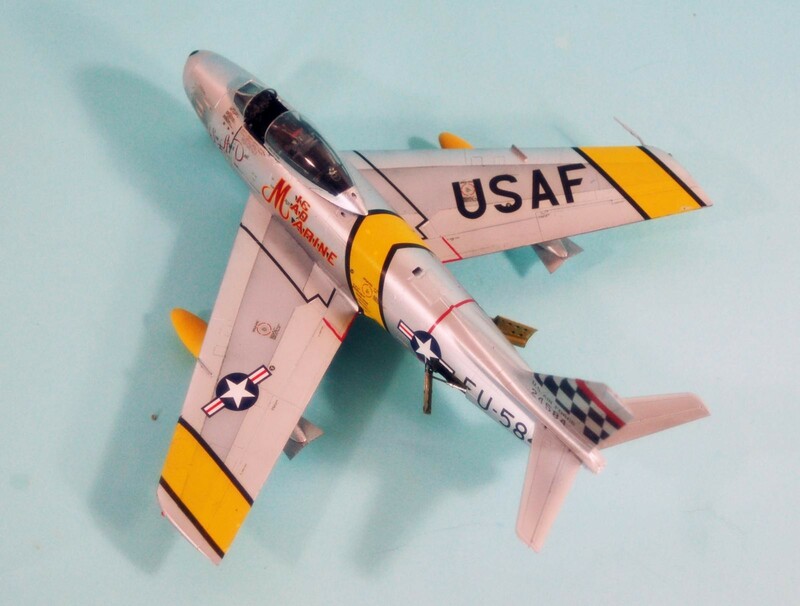 Hasegawa Sabre kit (bought at cheap cheap prices in the continuing LHS estate sale – you guys who collect kits, guys like me are going to buy them and build them. 🙂 ) Wolfpack decals for Glenn’s airplane. True Details resin cockpit (well, not the whole cockpit, which suckth, but the seat which is crucial and good). 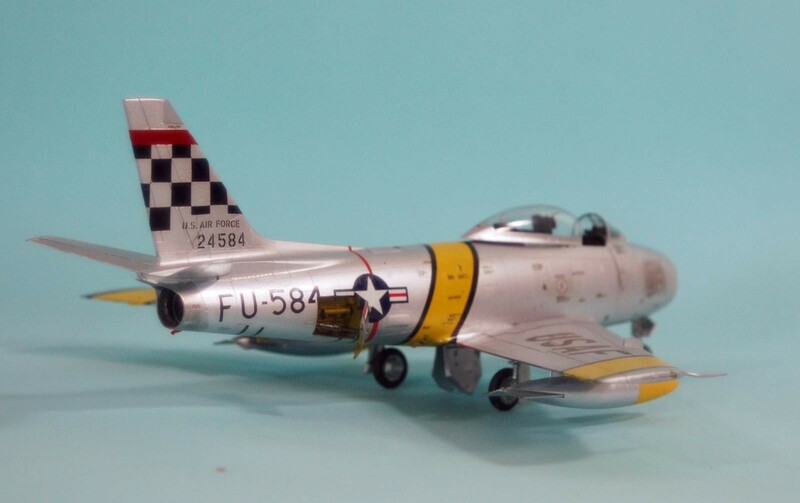 The F-86 – greatest jet fighter ever, last of the dogfighters. My favorite jet. 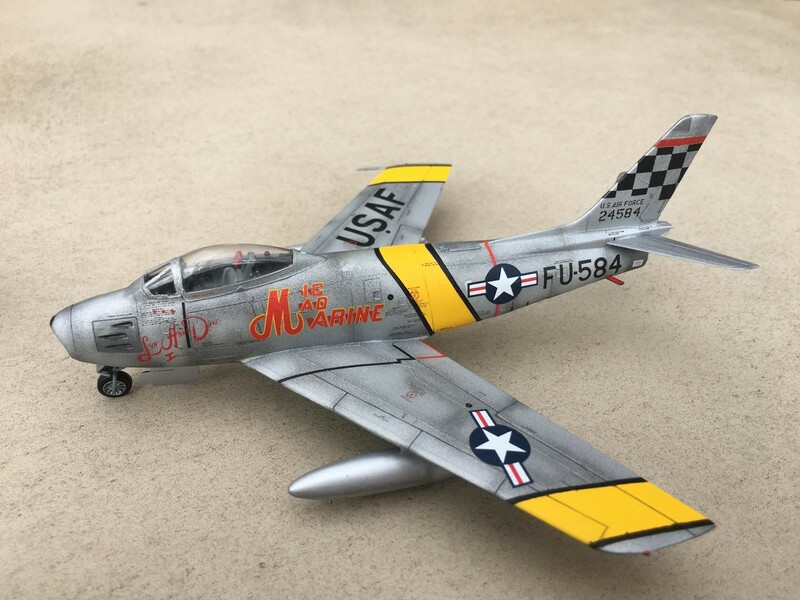 Great looking plane, great looking model, but is it nose-art? Nose-art need not only be a scantly clad lady or vicious sharkmouth! Any nickname, decoration, art work (like those scantly clad ladies, that fuel the fires of our imagination) on an aircraft constitute nose-art in my humble opinion. 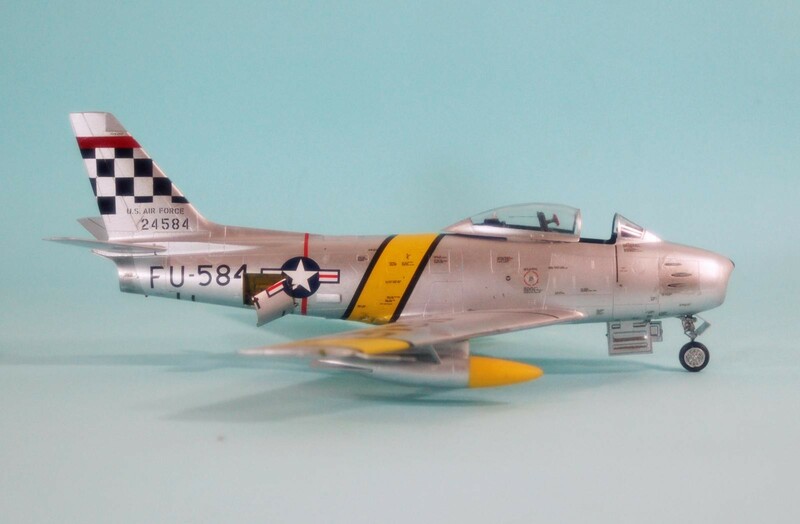 This is a stunning example of Glenn’s famous F-86 !! Thanks for including information about his exploits in Korea. Well done!! I am never disappointed when I look in on your builds Tom. Nice-lookin’ build, TC….I like it – (and yes, George – it’s “nose art”). Looks good. 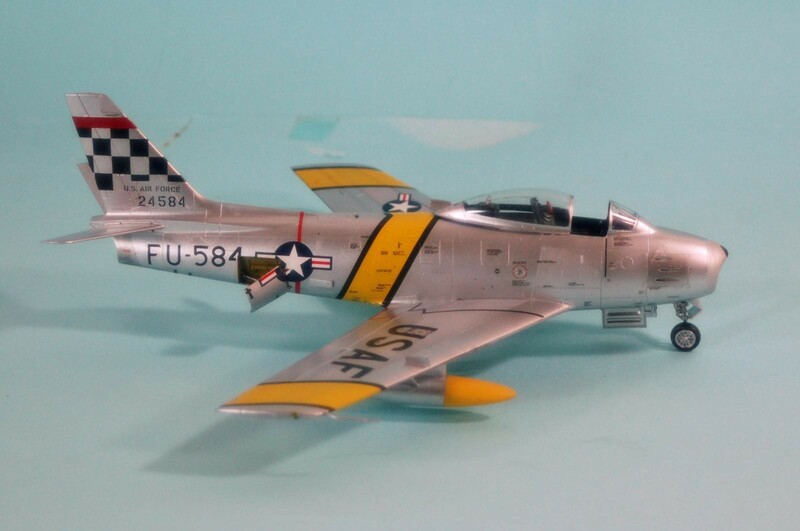 Guessing it’s 48th scale?? Another beauty from TC. Very well-done. 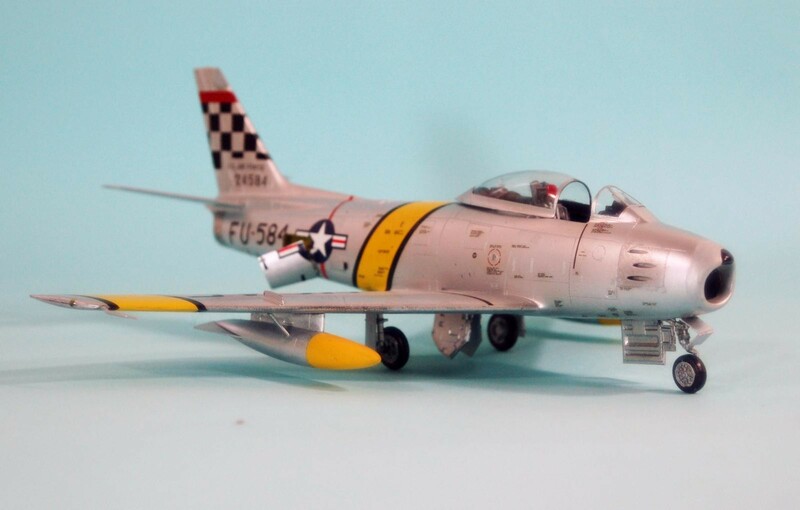 My favorite Sabre Scheme….awesome job! ALso learned a lot about one of my favorite aviators! That’s enough nose art for me! Good looking model and great backstory as well, Tom. Thanks for joining the group. 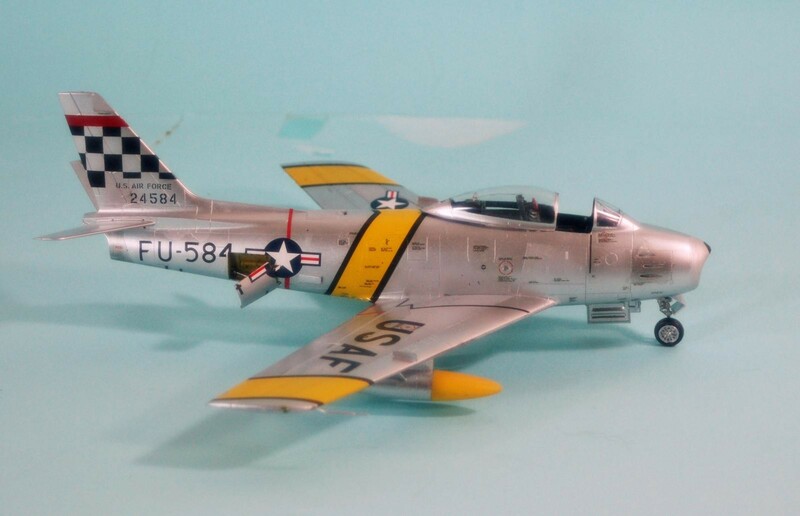 That’s a beautiful Sabre Tom, the one jet my dad always wanted to fly and never had the opportunity. Hit this one clear over the fence, Tom. I really like the metal finish on this one, Tom. What did you use? Vallejo – several different shades. John Boyd is one of the most over looked American hero’s… not only is he the “guru” of air combat strategy ,,,he was the God father of the F-16 along with the “Fighter Mafia”. Not well liked by the Air force in some circles who wanted only F-15s. He was loved by the Marines who’ve dedicated a statue in his honor. 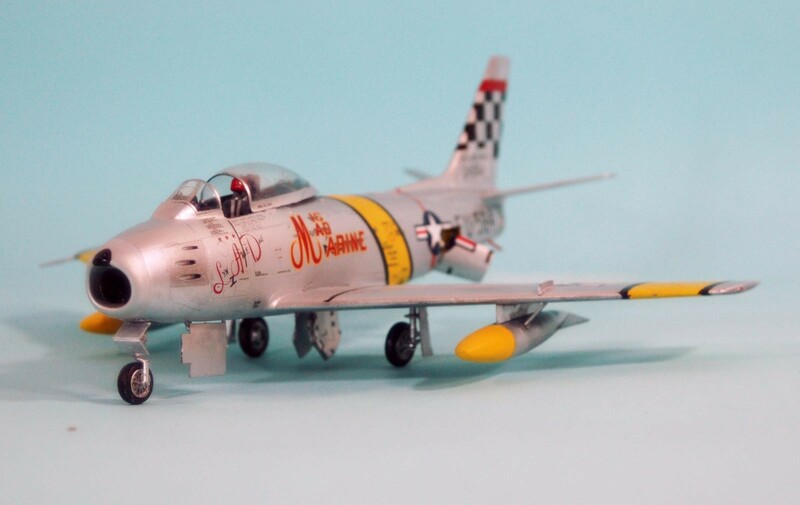 He didn’t fly anything with a Babe or a flashy cartoon or critter and therefore seems to be forgotten by the modeling community. But, he is responsible for every F-16 that ever flew. He fought in Korea,Vietnam and more importantly he fought the U.S. Air force bureaucracy and won. He also, payed the price for being brave and being John Boyd. You can say God Bless John Glenn and you can say God Bless John Boyd for saving the Air force from itself and every F-16 driver who comes home. 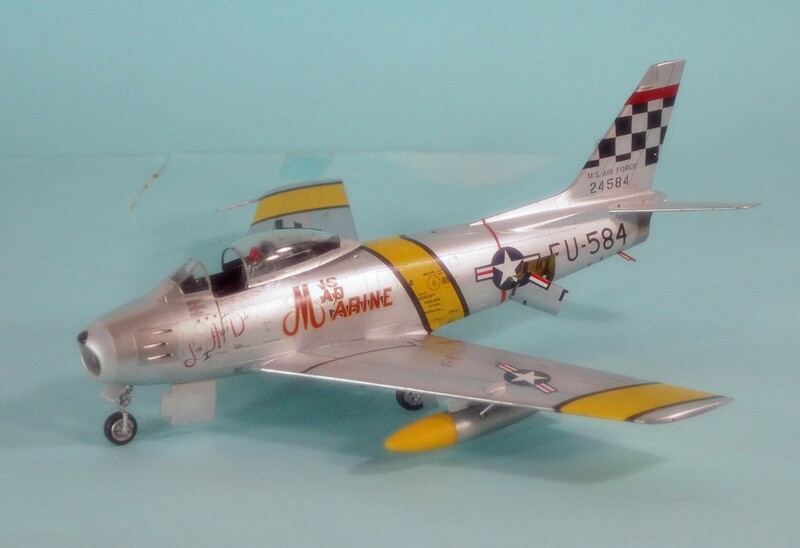 Boyd flew F-86’s and F-100’s to name a few. I’ve never have seen a model associated with his name. Also the guy who recognized and described the “OODA” loop – Organize Observe Decide Act – you get inside the other guy’s OODA loop, whether it’s another pilot, another army or another government, and your OODA loop works faster, and you win. John Boyd also came up with the Energy Maneuverability “Egg”. The basic concept that all modern air combat tactics are based on. Nicely done as usual Tom. 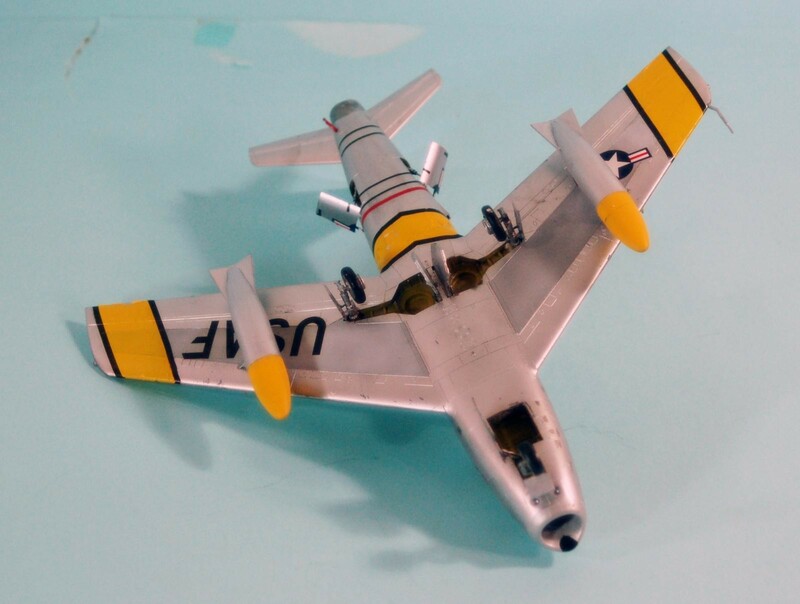 I heard that Glenn was complaining at the O’club bar one night that there weren’t enough MiGs for him to shoot down. 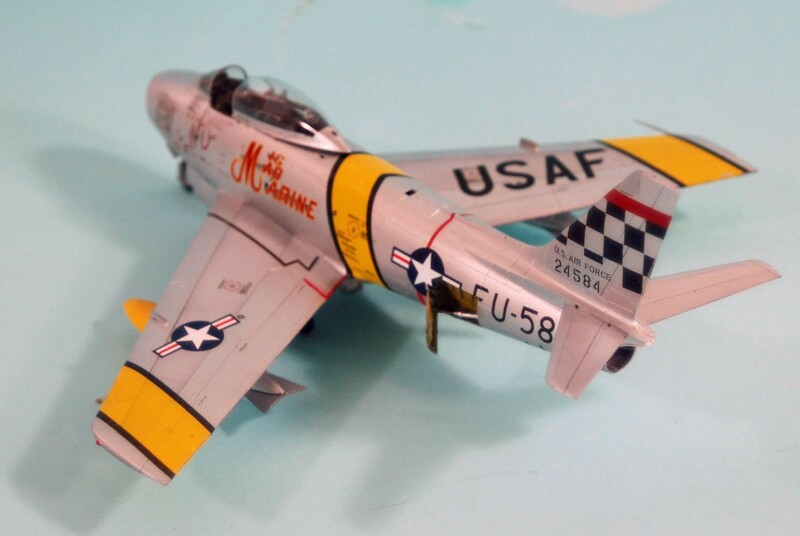 The next morning when he went out go fly he found his Sabre painted in its classic get up. Here’s one I built last year. 1970’s Heller 1/72 kit. Cheers.